by Debbie on Clean Your Carpets Inc. I have used them in the past and have had them clean 3 carpets they took back to their shop to clean. They were on time and sparkling colors bright again. I will definitely use them in the future. by Joanie on Clean Your Carpets Inc. They arrived on time & picked up 2 rugs, including our Bukhara and the matching runner. The runner needed repairs - the binding had come loose over the years. Rugs came back earlier than promised. Everything looks great - especially the runner! Highly recommend them. Will definitely use them again. by Ruth & Dennis Ditch on Clean Your Carpets Inc. Excellent work throughout the years! 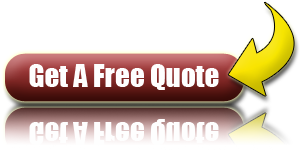 by Penny on Clean Your Carpets Inc.
We tried Clean Your Carpets through a free offer. 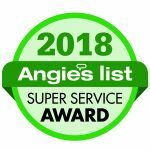 I am very impressed for the following reasons:1) The carpet they cleaned is 25 years old and looks like a whole new carpet.2) The service person, Ben, was outstanding. He not only explained their process clearly, but did a great job. He got out two stains that previous companies had been unable to remove!3) Although the carpets didn't dry in the estimated time of 4-8 hours, they were totally dry by the next morning which is very fast in my experience with steam extraction.4) We were quite pleased with their policy and procedures for cleaning hand tied oriental rugs. They are taken out of the house and go through a multiple stage process for cleaning.We plan to use Clean Your Carpet again. by Sharon Dwyer Buzard on Clean Your Carpets Inc. I have had this company clean rugs and furniture and am planning to have them "civilize" my tile and grout because they are polite, conscientious, and a pleasure to have in my home. They don't make a mess and leave everything in good shape. I am an artist and interior designer and am proud to recommend these folks to my clients and neighbors. by Patricia Parsons on Clean Your Carpets Inc. Excellent work. Excellent service. Took their time--which was good because Persian Carpets need extra handling and to be cleaned one at a time with special care. Beautiful repairs and fringe. They stood by their work when there was a minor fringe color problem. I didn't believe some of the old carpets could be repaired and salvaged. But they are now ready for another 100 years or so (although I assume I will have to call Tim again sometime in those 100 years to freshen them up). Also did a great job on my sofa. Ben and Chuck were fabulous setting up the cleaned carpets with new pads. Moved furniture as necessary for pick up and delivery. The expense was worth it. They look great! VERY professional. Thank you all! by Marcia on Clean Your Carpets Inc. Needed a quick carpet cleaning as new furniture was being delivered and no matter what I did to clean the carpet myself, it would not clean to my liking. Folks from Clean Your Carpets came out within a few days, thoroughly cleaned my rug and brought it back to the cleanliness I was looking for. Quick, professional and excellent quality. by Pat B. on Clean Your Carpets Inc.
Courteous, professional people and great cleaning job on our old and new oriental rugs. Only caveat is to be sure the fringe color is discussed if needs to be replaced as ours came back too white and new looking. Tim took care of getting the fringe replaced and the new color was more appropriate and appealing. Would use them in the future. by Lydia on Clean Your Carpets Inc.
Clean your Carpets took my family old torn rug and gave it new life with cleaning and repair. The staff are professional, excellent quality work! Plus they cleaned my home carpet and it looks amazing! 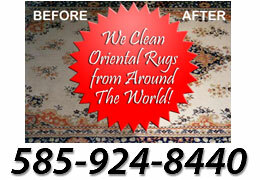 Highly recommend for cleaning carpets and restoring your old oriental rugs!! Beautiful cleaning job on our antique and new oriental rugs. Courteous service and professional. Gave 4 stars instead of 5 as the replaced fringe came back too white and they needed to look more aged. The good news was that Tim had the fringe replaced and the rugs came back to us with the fringe in a more appealing and appropriate color. A good learning lesson for us as well as the company...but, would use them in the future.